Vienna has won its bid to host a major international medical conference next year. 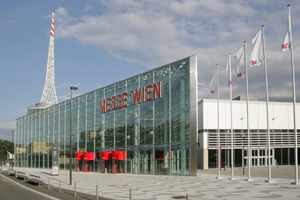 The 2009 International Conference on Alzheimer's Disease will be held at Reed Messe in Vienna on 11-16 July 2009 and is expected to attract more than 6,000 delegates. Vienna Convention Bureau estimates the event will be worth £9.9m to the local economy and generate 30,000 overnight stays. Vienna's selection was announced at the International Conference on Alzheimer's Disease in Chicago, where the Vienna Tourist Board exhibited. Vienna Convention Bureau director Christian Mutschlechner said the win highlighted the city's importance as a medical congress destination. "One of the reasons for choosing Vienna was the organisers' intention of attracting as many delegates as possible from central and Eastern Europe," he said.